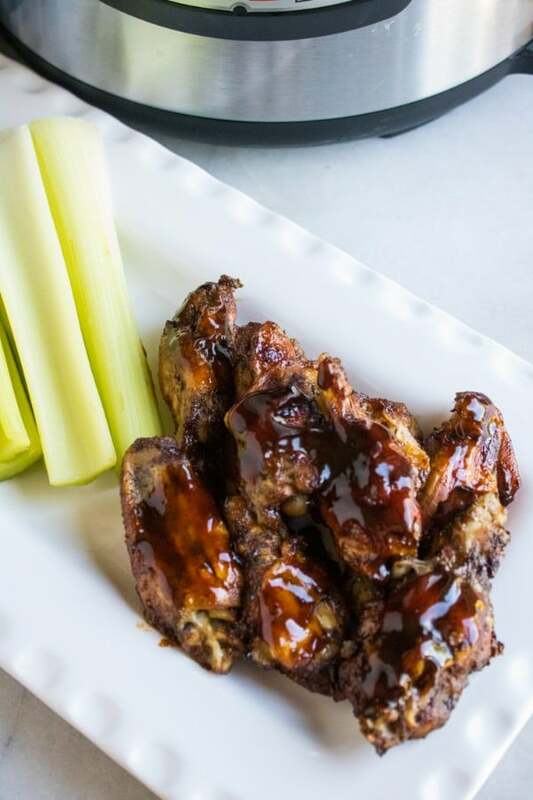 If you love chicken wings and want to venture beyond buffalo sauce, you’re going to love these Instant Pot Jamaican Jerk Chicken Wings. They’re the perfect combination of spicy and sweet. This isn’t a bland, boring recipe. It’s an Instant Pot chicken recipe your taste buds can get excited about! Most of my recipe inspiration comes from combining two things I already love. 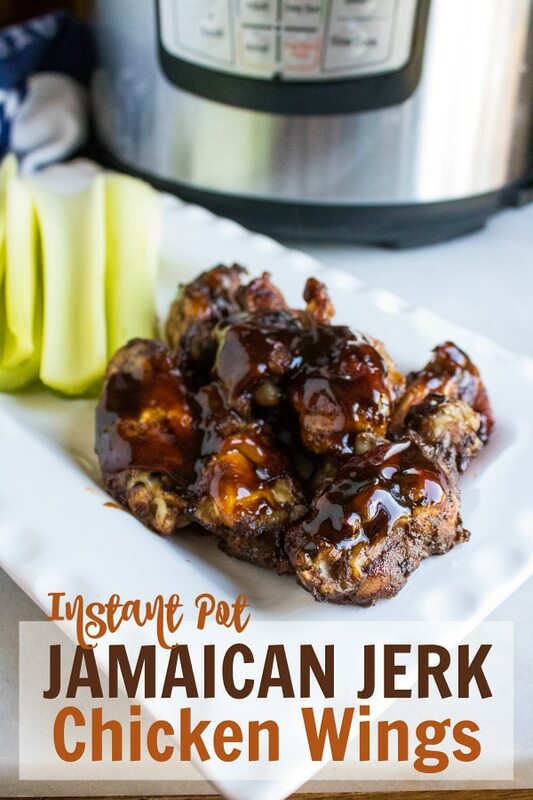 In the case of these Instant Pot Jamaican Jerk Chicken Wings, I was inspired by the ease of making Instant Pot Buffalo Chicken and the delicious flavor of one of my family’s favorite dinners — Island Pork Tenderloin. The result was a super flavorful appetizer that is easy to make. Pertaining to cooking, the word “jerk” describes meat that has been dried in the sun. The word jerk comes from the Peruvian word charqui, which they used to describe dried meat. You can hear the resemblance to our word “jerky” which describes many forms of dried meat. Jamaicans were using methods very similar to the Peruvians in ancient times (from KitchenProject.com). The Jamaicans, however, used unique spices before wrapping the meat in leaves to dry. Today, when people talk about Jamaican Jerk, they’re referencing that unique spice blend. Typically this includes scallions or onions, scotch bonnet peppers, black pepper, salt, allspice, cinnamon, nutmeg, sugar, and thyme. Jamaican jerk seasoning is full of flavors that sound like they’d conflict but actually blend together into a perfect harmony of sweet and spicy. No one complains about Jamaican jerk chicken being bland! 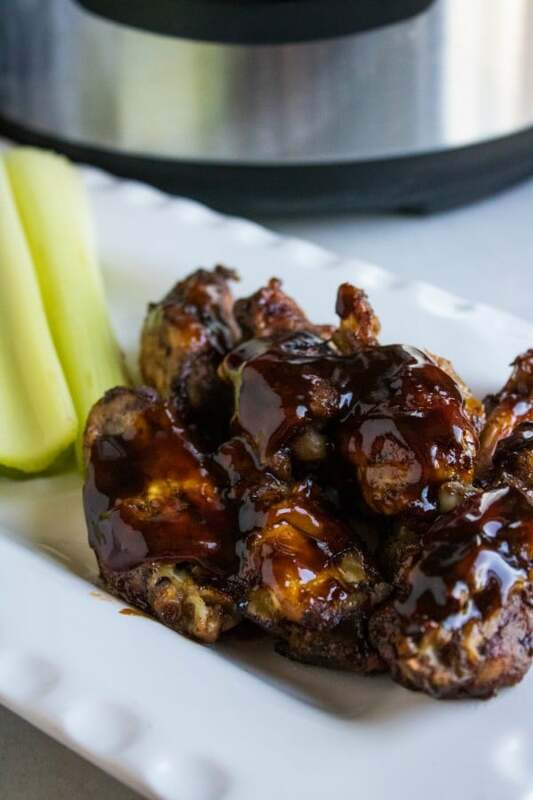 We’re going to let the Instant Pot do most of the work for these Jamaican Jerk Chicken Wings. However, to get a great crisp, sticky coating of the yummy sauce, there are a couple extra steps once the Instant Pot is done. Don’t worry! It’s still a really simple recipe. The extra steps are well worth the small effort. First, you’ll sprinkle the chicken wings with Jamaican jerk seasoning (I use a spicy version, but if you don’t like it too hot, there are mild versions too) and adobo seasoning. Make sure the chicken is seasoned on all sides then transfer them to your Instant Pot and add water to the pot. Cook on high pressure for 13 minutes. After the beeps sound the end of the cook time, let the pressure release naturally for 7 minutes, then quick release the remaining pressure. While the pressure is releasing from the pot, cover a baking sheet with aluminum foil. Once it’s safe to remove the Instant Pot lid, do so carefully and spread the wings out on the foil-lined baking sheet. Now it’s time to make the sauce. 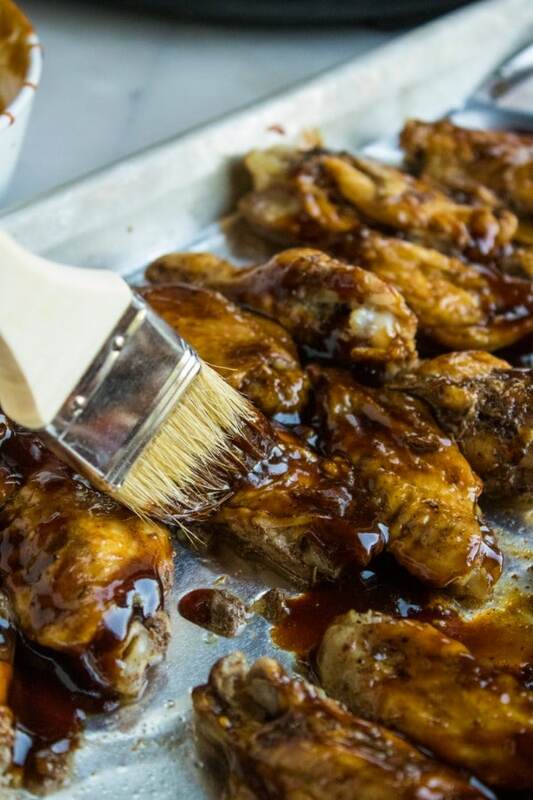 Mix together ketchup, molasses, brown sugar, and chili sauce then brush it onto the wings. Broil for 5-7 minutes until desired crispness has been reached. 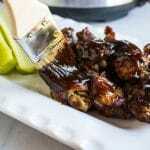 Serve hot with lots of napkins because these sticky wings are messy! 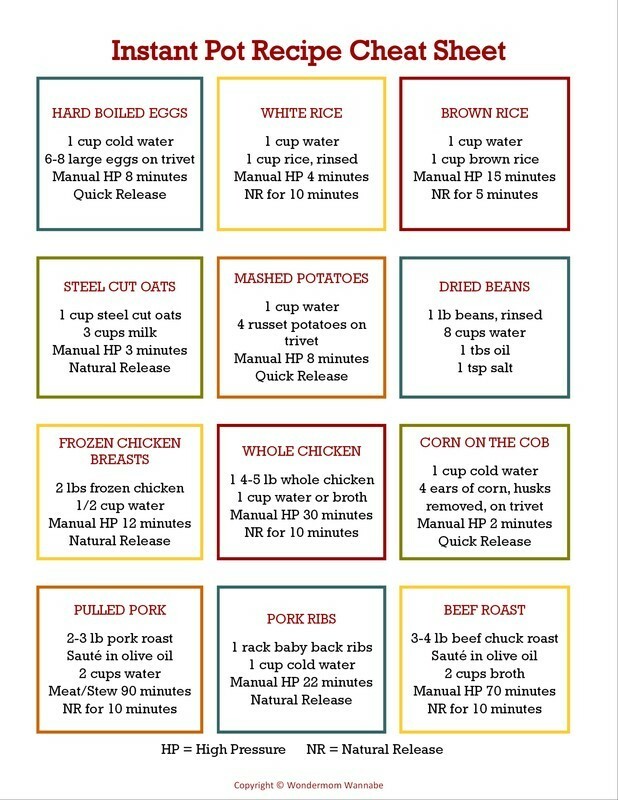 Here is the recipe card with the exact measurements and detailed instructions so you can make your own Instant Pot Sweet Jamaican Jerk Chicken Wings. 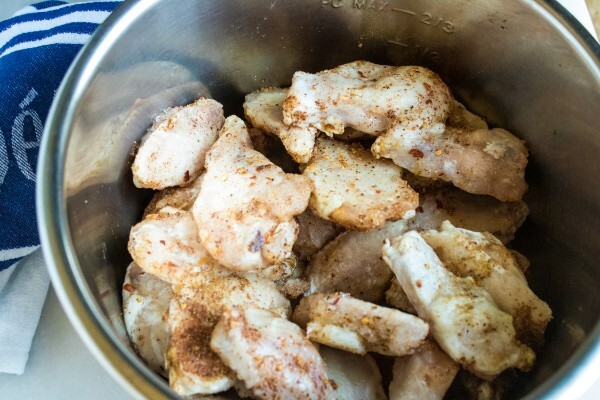 Combine wings with seasoning and stir to coat. Transfer into Instant Pot inner pot and add water to the pot. Set Instant Pot valve to sealing and turn to a manual high pressure for 13 minutes. Turn oven broiler on high to preheat. Allow for a natural pressure release for 7 minutes. Release the remaining pressure. 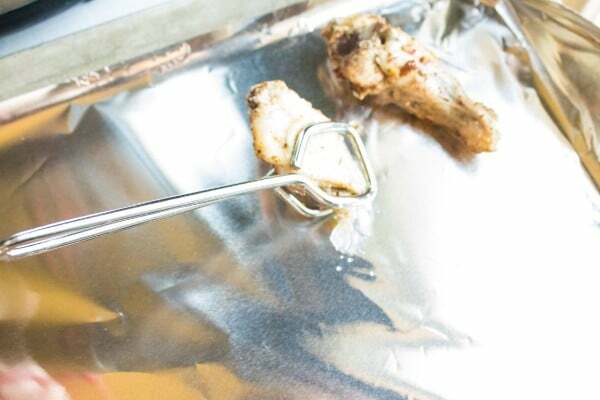 Cover a baking sheet with aluminum foil and spread the wings out over the pan. Mix together ingredients for the sticky sauce. Coat the wings with the sauce and then broil for 5-7 minutes until desire crispness has been reached. Previous Post: « How Much Allowance Should You Pay Your Kids?